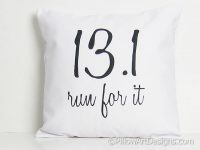 A perfect inspirational piece for the runner training for their half marathon. 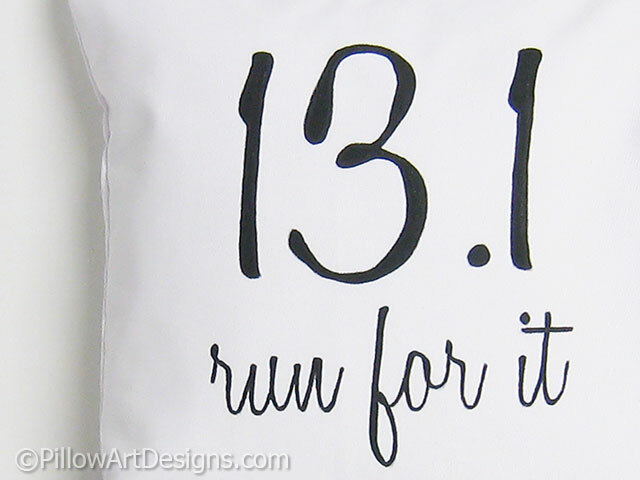 The numbers 13.1 signify the distance for a half marathon race. I painted the numbers in black fabric paint on crisp white cotton twill. 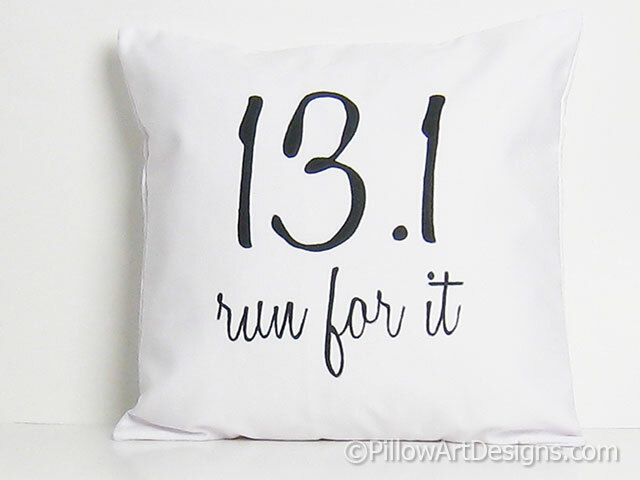 The words 'run for it' are painted under the numbers. 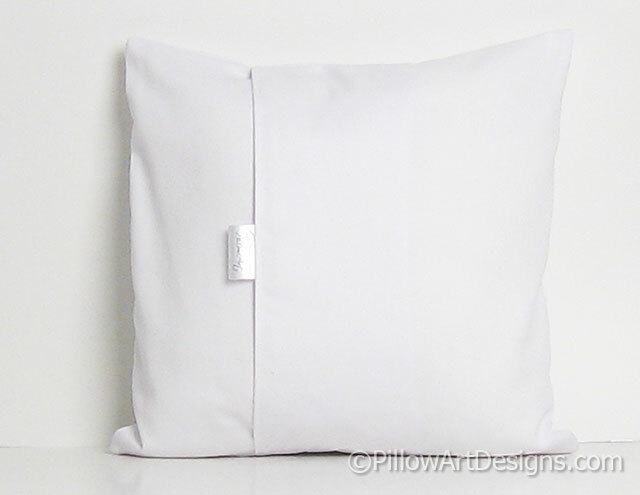 Sized to fit a 16 inch X 16 inch pillow insert (not included). Fabric is white cotton twill, seams are double stitched for durability and overcast to prevent fraying. For the very best results, wash by hand in cold, lay flat to dry and avoid direct contact on painted area with hot iron.